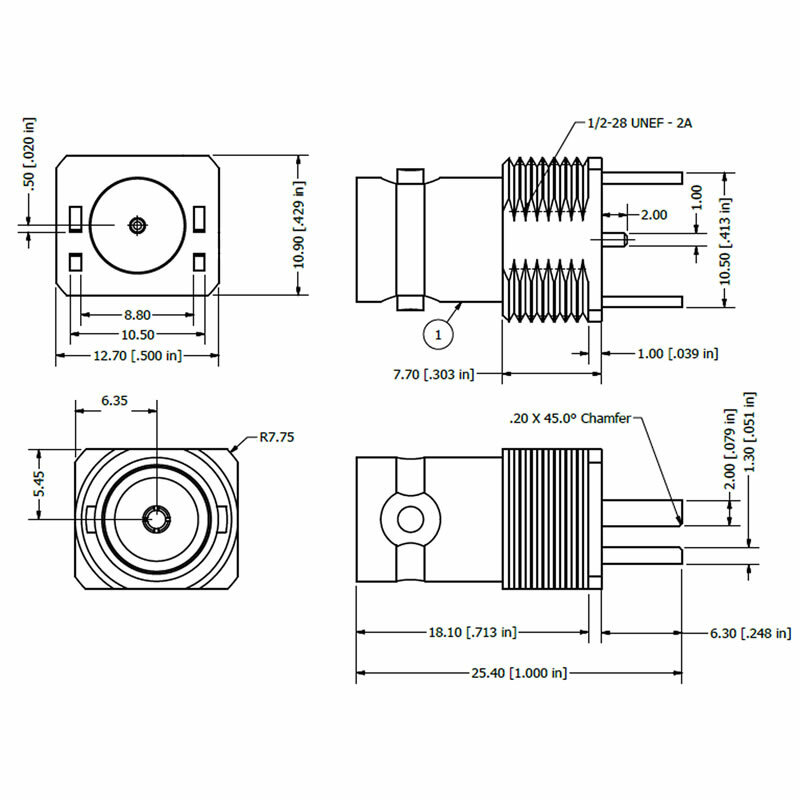 Our range of 12GHz Precision BNC coaxial connectors are optimised for 4K/Quad HD and Ultra HD Broadcast applications and have been developed under the CoaxVision™ Brand name, while meeting the JIIA CoaXPress specification. These high performance connectors allow you to achieve a 12GHz channel in one single connection. 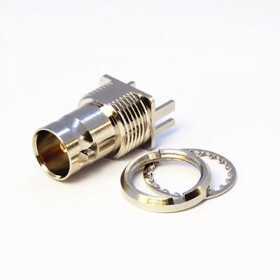 The BNC connectors are mateable with any standard BNC connector, but to achieve optimum performance we recommend using Cambridge Connectors 12GHz CoaxVision™ BNC Connectors in both halves. 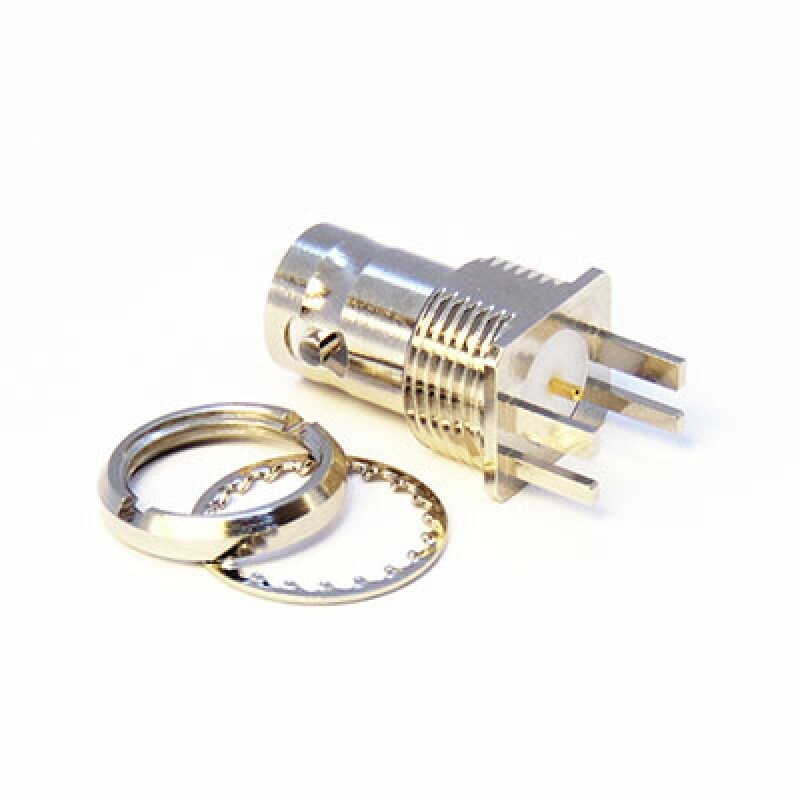 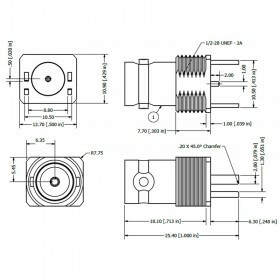 The C-SX-160 connector is a PCB edge mounting BNC socket for PCB thicknesses of 1.6mm and is supplied with a circular nut and washer.